Rockwall is a part of the Rockwell County in Texas, United States. It belongs to a suburb of Dallas and is the country seat of Rockwall County. Interestingly, the name Rockwall is connected to its specific geographical location with a jointed formation. This jointed formation looks like an artificial wall made by rocks and hence the name Rockwall. One of the most important highlights of the city with around 40,000 populations (2010 census) is its different sports complexes. The place is famous for Lake Ray Hubbard which has several boating marinas and also offers good jet skiing opportunities. The 22 golf courses in Rockwall is also a major highlight that draws people to this city. Planning to shift to Rockwall, Texas in the near future? If you are looking for firefighters moving company for helping you in shifting we will be glad to be at your service. 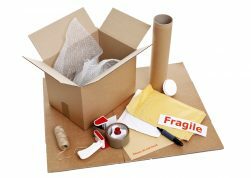 It is highly important that you take help of the most trustworthy fighters movers around to ensure that the whole shifting process is carried out smoothly without any breakage or loss. Being, one of the most efficient moving companies around, we care about your possessions as much as you do. The safety of your assets is foremost in our mind when we pack as well as unpack your belongings. We plan the shifting route properly beforehand so that the transition, be it local or a long distance one can be carried out in quicker time and the overall process is stress-free for everyone. Complete customer satisfaction is the deciding factor for our company to evaluate our work efficiency. Hence, all our moving and storage plans are customized and planned after taking your requirement as well as instructions into consideration. Our firemen movers offer several complementary services such as packing and unpacking of your furniture and much more. 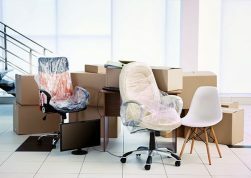 MoveStar moving company offers multiple moving solutions and services for all your shifting needs including commercial storage and moving requirements at affordable rates. Owned by one of the best off duty fireman movers in Rockwall, Texas, you can rest assured of top quality storage and moving services from MoveStar.